Phoenix Fire Systems is proud to offer the Fike DuraQuench and MicroMist systems. Water is the safe, natural way to extinguish a fire. But, it can cause significant collateral damage to buildings and their contents. High pressure water mist systems limit the damage, but they do so at great financial cost, often at higher cost than even chemical or inert gas systems. DuraQuench and MicroMist systems are changing the way the industry looks at fire suppression. The heart of the DuraQuench system is a skid-mounted pump, electric motor and pump controller that can be directly connected to a building’s water supply or to a tank or reservoir. When connected to a building’s water supply, DuraQuench can provide an unlimited discharge duration – something not possible with “containerized” water mist systems. Used with the appropriate machinery space or light hazard nozzle, the DuraQuench pump can protect nearly unlimited volumes with 75% less water than a conventional sprinkler system, and at much lower cost than other water mist systems. DuraQuench provides maximum freedom when it comes to pipe, fittings, valves and other accessories. With DuraQuench, there’s no such thing as proprietary pipe, fittings, tools and software. You source your own stainless, copper or CPVC pipe and tubing from your existing local suppliers. System design is simple too. You can design your system using standard off-the-shelf hydraulic calculation software – no black boxes, and no waiting on someone else to lay out your system. DuraQuench is FM approved for the protection of light hazard occupancies, machinery spaces and turbine enclosures.DuraQuench pumped water mist system brings the benefits of water mist fire suppression within reach of most budgets and over the widest possible range of applications. DuraQuench is an extremely versatile water mist system. With the ability to protect both machinery spaces and light hazards, and with proper zoning, the system can even be configured to protect multiple hazard types within a single facility. Light Hazard Occupancies The DuraQuench system is designed for the protection of light hazard occupancies such as offices, classrooms, churches, libraries, hotels and museums. DuraQuench is the ideal solution when the prospect of collateral water damage is a primary concern, or when existing water supplies are not adequate for a conventional sprinkler system. Manufacturing and Processing DuraQuench is an ideal system for protecting the wide array of hazards found in a manufacturing or processing plant – everything from transformer rooms and the production floor, to office spaces and common areas. Using the K6 machinery space nozzle, the OH-VSO light hazard nozzle, and selector valves, multiple hazard types can be protected with one DuraQuench pump. Energy Industry Utilities Municipalities and independent power producers cannot afford unplanned generator downtime. DuraQuench provides fast-acting, environmentally sound fire-suppression for generators, turbines and pump and lubrication rooms. Fike’s MicroMist system is a self contained, single fluid, pre-engineered watermist fire suppression alternative to many traditional fire protection methods. MicroMist has demonstrated excellent performance in the suppression of a wide range of flammable liquid (Class B) fire scenarios including pools of fuel leakage, fuel sprays and potential Class A involvement of fuel soaked materials. MicroMist – the cost-effective solution As a safe alternative to traditional fire protection methods, Fike’s MicroMist is a water-based, non-toxic, environmentally friendly fire extinguishing system. Designed and manufactured to be self contained, MicroMist has an excellent track record with special hazard applications. And since it utilizes water as the suppressant agent, MicroMist is cost-effective and environmentally sound. MicroMist offers superior quality that protects your assets, the environment...and your budget! 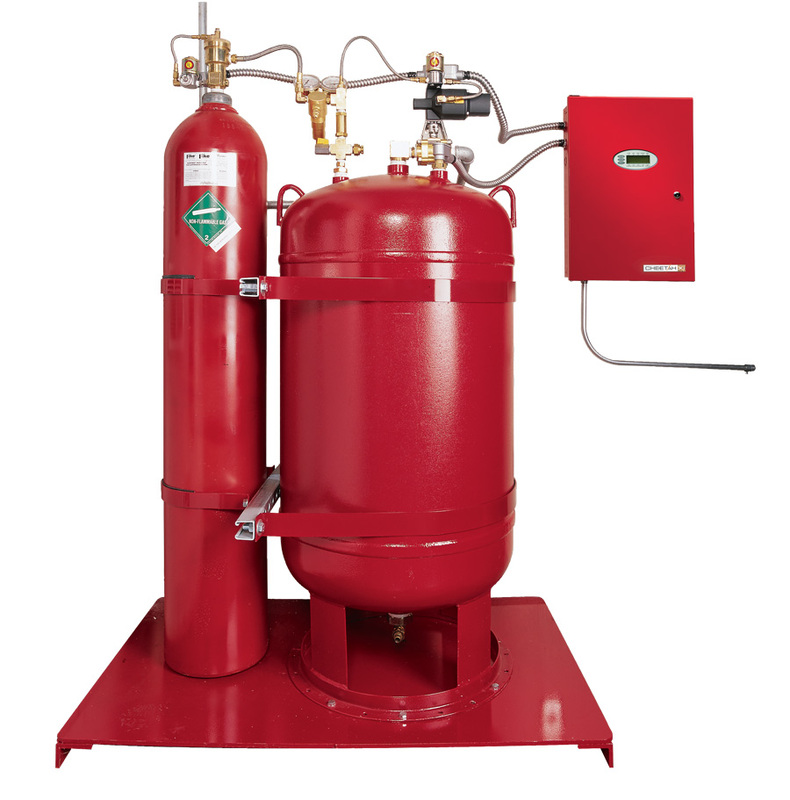 Because of Fike’s experience with special hazard applications, solving the specific needs of our customers is unmatched in the fire suppression industry. MicroMist comes pre-assembled, tested and packaged with all valves and actuation components necessary for system operation, helping to eliminate high installation costs. And because of the small amount of water required by the MicroMist system, post-discharge clean-up and downtime is limited.